The main cause for under eye bags is excessive water retention. Eyetuck™ reduces the appearance of eye bags and swellings! A Tighter Eye Area without Surgery! Eyeseryl, a tetra-peptide, helps reduce eye bags and swellings beneath the eyes, creating a smoother look in no more than a few weeks. Eyeseryl: A specifically developed tetra-peptide that reduces swelling by removing excess water from below the eyes. Apricot Oil: Moisturizes and revitalizes, making it the perfect solution for taking care of dry, aging skin in the delicate eye area, without leaving the skin covered in a film of oil. Shea Butter: Found in shea nuts from the karite tree, it provides top-class moisture and is frequently used for skin care. For centuries, it has also been used as a remedy in African countries. Gently cleanse and dab the skin dry. After cleaning you face, gently apply the cream to your face, patting it from inwards to outwards beneath the eyes. The main cause of eye bags is the excessive water that pools beneath them in this area. Eyetuck contains the specifically developed ingredient “Eyeseryl” that reduces any pooling excess water, making a visible difference. Tests with Eyeseryl proved that in most of all cases there was a visible improvement to the person’s appearance. 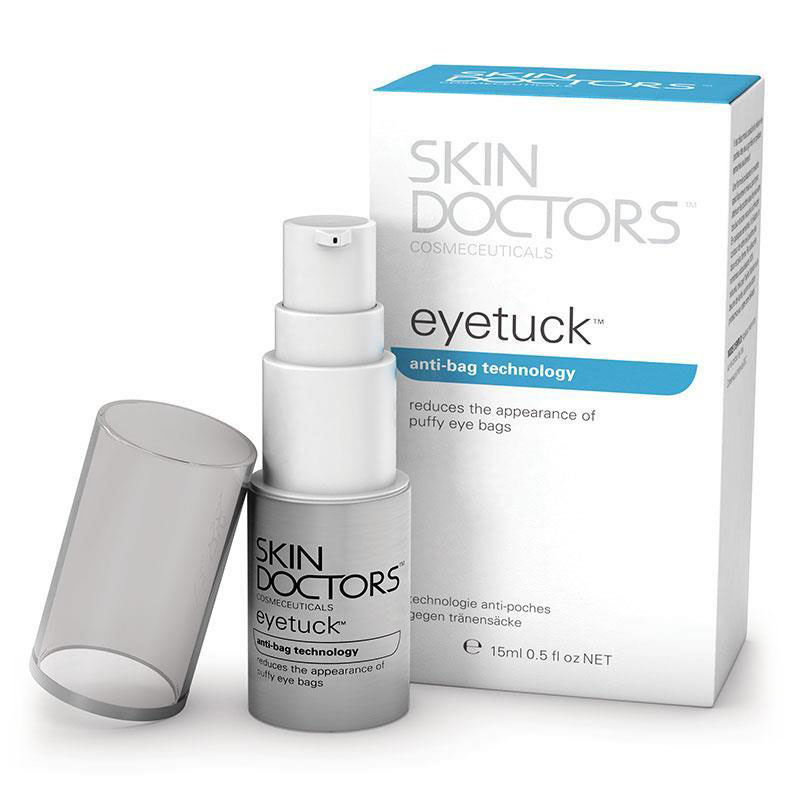 Will Eyetuck also reduce the appearance of dark circles under my eyes? No. 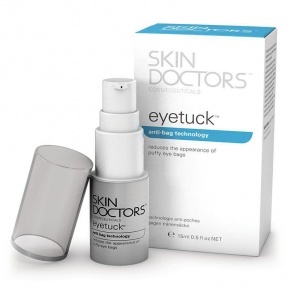 Eyetuck has been specifically developed to visibly reduce the appearance of puffy eye bags. Dark eye circles are caused by broken capillaries or pigmentation. If you suffer from dark circles, we recommend our product Eyecircle that has been specifically developed to reduce the appearance of dark circles.